Hi! My family is relocating to Colorado soon from Florida. My husband, son and myself were here last 25-29 June scoping out the different locations. We have decided that the mountains are where we want to be! We really liked Conifer, Bailey, Shawnee areas. We can't really househunt for real until our home here sells, but we plan on moving to the mountains because it is beautiful! I will be working for Lockheed in Littleton so it will be anywhere from 45 min to an hour commute for me which is daunting but will likely be worth it. We have driven in snow before, as we lived 13 years in Ohio before moving to Florida. We have been in FL for about 3 years and my husband and son are not big fans of the heat/humidity. Also my husband is a huge hunter and the hunting in FL is not all it is cracked up to be for him. I guess the reason I joined this is so I can learn all I can about the area before committing to moving to the mountains. While it is beautiful and peaceful I worry about driving to and from work in the winter. I have never lived in the mountains and am not sure what to expect with snow removal. We did talk to some locals and everyone we talked to said the county is good about keeping things clear. I also wonder if anyone else on here commutes an hour-ish and if it is worth it or if it gets old. And my son who is soon to be 18 and will be starting college soon is concerned about cell service, and internet for school and gaming. He will also need to find a job. What do most teens do for jobs? do they commute to a busier town or is there enough locally? Really any advice you could give would be welcomed! I will be moving the 3rd week of July with my son and we will be in temp lodging for a bit until our house here sells. My husband will be staying back for a while to wrap things up here in Orlando. Thanks in advance for your advice. Replied by ScienceChic on topic New here and questions! Hi ConradFam, welcome to My Mountain Town and soon to the mountains! Fellow Ohioan here (Cincinnati native) and you will LOVE the weather! You have some really good questions, let's delve in! On snow: most of the time it's not a problem, CDOT does do a pretty good job with plowing the highways. However, I will tell you that when they don't, it's awful. We used to live in Kings Valley and I worked east of downtown; it was an hour and a half commute one way normally. When there were bad road conditions, that would become 3-4 hours to get home. I could've handled it if it were just hubby and I carpooling, but we had kids not long after moving up and doing that with two under the age of 5 became untenable (too much time spent in the car every day, not enough good quality family time, period) so we moved to Lakewood. With having an older kid, that hopefully won't be such an issue for you and your family. The drive itself is one of the most beautiful IMO, and I still love driving it every chance I get! It has gotten worse over the years on the weekends in the summer with people coming up to camp, but we have a small group of individuals who have been meeting with our representatives and CDOT for the past 2 years now to see if we can't get 285 moved up in priority on projects to improve safety and congestion. The bigger worry for the mountains is our fire danger. The 285 Corridor is one of the highest rated fire danger areas in the country: it can make getting insurance a challenge and should factor heavily in your home-buying decision (e.g. is the neighborhood you're looking at only have one entrance/exit? Is it a Firewise community? Have neighbors done a lot of mitigation or none at all? Is the property heavily wooded and you'll need to spend a lot of time and money clearing it out to make your home safer?). Stop by our fire departments and speak with the fire chiefs or firefighters, ask them their thoughts on areas to avoid or not, and if they'd be willing to inspect a property you are considering and give you their assessment of what mitigation needs to be done. On internet access: this varies quite dramatically based on neighborhood and topography, and gets iffier the further from the city you go. Make sure to find a realtor who can steer you toward the best areas when house hunting (I've got a few recommendations when you get closer to that time!). Jobs: there are always jobs available at local restaurants but I'm not sure of what else is available for teens. Down in the city has more available, and will pay better, but the commute and extra gas/time is a trade-off he'll need to consider. 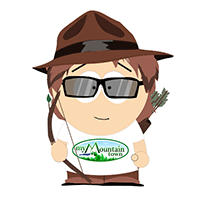 For more about our area, check out our Mountain Secrets Blog and Things to Know About Living in the Mountains! Best wishes for a smooth and uneventful move and successful house selling! Let us know when you've made it out here and start hunting for your dream home! Replied by ConradFam on topic New here and questions! Thanks so much for your replies! You definitely gave some great advice of what to look for. It is much appreciated! Replied by RenegadeCJ on topic New here and questions! ScienceChic covered a lot of the info, so I will try not to be redundant in those areas. This is a great website with great people, so don't ever think you can't ask a question. Driving to work is all about your attitude and experience. I drive early in the morning and come back early. This really helps the commute. Snow is an issue, but if you plan ahead, it isn't too bad (usually ) If the job is in Lockheed, Deer Creek Canyon is your friend. Depending on your budget, living somewhere in that canyon, or even in South Turkey Creek or even north turkey creek will help your commute. Of course the further you get from town, the cheaper the real estate is. As SC said, if they ever get the full 2 lanes built on Hwy 285, the commute further out will improve substantially. All the areas you are looking in have nice and not so nice lots. If you are worried about snow removal at your home, try to keep to a south facing driveway. We have a north facing, and have a plow truck, but we have snow on our drive and on our property in a normal year from about November-April. A backup generator is a good idea to budget for. Anything from a built in to a portable generator is a good idea to have. We don't use ours often, but when you need it, you need it. Our power has been out for 7 days due to a huge snowstorm years ago. Cell phone coverage varies greatly depending on location and provider. If that is critical, make sure to try out options. Internet is available in most areas, but if you want the higher speeds, most of our neighbors use the tower broadband systems. You need to be able to see the towers with line of site. Regarding fire danger SC mentioned, it is a huge issue. Mitigation is a yearly job for all homeowners. Many don't care, and if you move in an area that is heavily forested, and unmaintained, your are at the whim of your neighbors, unless you have 20 acres you can manage yourself. I hear time after time that people don't mitigate because they moved to the mountains to be in the trees. You don't want one of those as your neighbor. Make sure the homes you are looking at have a good well. You can pull that info from the county records. Make sure the septic has been maintained. Yes, you will find out at inspection time, but it is a great question to ask. A damaged leachfield can cost a lot of $$ down the road. Good luck finding your home here in the foothills. Our neighborhood has a 3 yr rule. If you make it 3 yrs, you typically stay. Many people move to the foothills for the romance of it, and don't realize the work it can take on occasion. Well worth it, but not for all. Replied by HappyCamper on topic New here and questions! Welcome, you found an awesome site and remember to get linked to all of the emergency emails they provide. Unless it is a bad winter snow/road issues are not as big of a deal as many make them out to be. However, if it hits at rush hour and you are not able to leave it can be frustrating just make sure you have a full tank of gas before you head home. There are some great webcams here that will help you keep an eye on things. Great place to be and most people are super nice so if you have questions ask away we are all willing to help!!! Thank you all! We have a contract on our house here in FL now so things are "getting real"! I will be out there in a couple of weeks with my son so the hunt for a place will be on! My husband is just going to have to trust me! I have been showing him everything that you all have told me on here as far as things to look for/avoid, etc and we are taking it very seriously because we want to be happy, responsible homeowners. I am officially in Colorado now as of the 25th! I am staying at a Residence Inn in Highlands Ranch. My plan was to start looking for my mountain home as soon as I arrived BUT...the buyers of our Florida home backed out at the last minute so there goes that idea. So frustrating! In the meantime, I will just dream! The hubs is staying behind for awhile to make sure the house gets sold and will transfer out later. I will be so glad to be settled at some point! Oh no! I'm sorry that happened ConradFam, I hope someone else decides they want to buy it soon so you aren't in limbo for long. Welcome to Colorado though! Just wanted to give an update. We have a contract on a home in Bailey. it's about 15 min longer than I wanted to commute, but I LOVE the home/location. My car is not gonna cut it in the winter. It's front wheel drive but a dinky Mercedes. Not realizing I would be moving out to CO from FL, I decided to treat myself to a "bougie" fun car. It's a lease so I am stuck in it for the next 2 years. UGH! I might try to find a cheap but reliable SUV/Jeep/truck for the winter mos. If only I could go back and know what I know now. Oh well. My husband has a full size pick up so at least we have one good vehicle! My son has a Kia Forte. Next car might be a Jeep! Anyway, having the wrong car is not a reason to pass on a great house in a beautiful area right? I am nervous but also excited. I don't know if this will be the case for you not knowing the type of road you are on once off the highway (mine were all paved and school bus routes so they got plowed early), but I've had a few front-wheel drive only vehicles that have gotten me to and from the mountains on 99% of the days. Only the worst snowstorms or surprise icy/snowy events (an August snow comes to mind when I still had summer tires on my Lexus) kept me from getting home - 3 times over 6 years total. Keep an eye on our weather alerts and daily forecasts , head home early if possible and you should be okay! Congrats on going under contract!